If you think that studying languages abroad is accessible only to the better off this artilce is for you! Would you like to spend some time learning Italian in Italy but have a tight budget? During the last few years more and more language students have decided to attend language courses aborad. Same has happened to learning Italian in Italy. 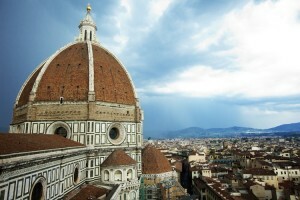 Interest in Italian language and culture is on the rise. As a result, many new schools have emerged and the already existing ones have customized their offer to better adapt to the needs of the students, also economical needs. We present top 3 low-cost Italian courses in Italy. Learning Italian in beautiful Italy, country famed for its tasty cuisine, friendly people and stunning Roman architecture will make an unforgettable experience. You will be able to meet new people from all over the world as well as better understand the locals, learn about the fascinating Italian culture, taste amazing food and wines and improve your knowledge of the language. 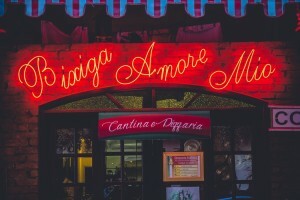 After having researched and compared many Italian schools from all over Italy, we have chosen 3 schools that offer high quality Italian courses for the best price! 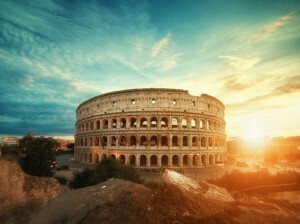 Do you think that Rome is an expensive city? Well, in certain aspects you might be right, but a big city always allows you to find cheapear alternatives for food and spending free time, for example, traditional restaurants and bars, attended by local people. As well as many attractions that are free like dozens of parks, squares, churches and public fountains. We have found for you an Italian school that combines quality teaching with low prices and is located very close to the St. Peter’s Square in the Vatican. Here, you can enjoy a course of 2 weeks (total of 40 classes) for € 360, in addition to the multitude of extracurricular activities organized in the afternoons such as: tours around the city, dinners, visit museums, watching Italian movies, etc. (click here for more details). Everything to make the most of your stay. And if you want to stay in an accommodation with an Italian family you will get it for € 499 for two weeks including breakfast. Take advantage of this opportunity! You will be delighted with this wonderful island! It is a place full of the typical Mediterranean character with a mixture of Italian, Greek, Arabic, Spanish culture and, of course, its influence of the culture of ancient Rome. 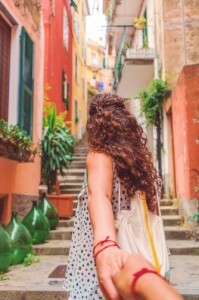 Sicily is one of the pearls of Italy and can be discovered, understood and experienced through a series of itineraries that can be added to your Italian course, ranging from nature to history and traditions. 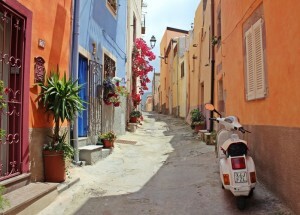 For your Italian course we have chosen a small town of Cefalù that has a unique charm of its own. It is clean, safe and very friendly. Here you will find an international environment, entertainment, and incredible culture. Here we offer the possibility of having an intensive Italian course of 2 weeks with 20 weekly classes for € 339, and if you would like to book the accommodation with us, you can share an apartment with international students or with an Italian family for about 490 euros for two weeks (click here for more details). What are you waiting for? The purity of the language, the authenticity of everyday life, the kindness of its inhabitants, the large number of museums and monuments, the geographical location in central Italy are some of the characteristics that make Florence the ideal option to take advantage of getting to know the Italian language and culture taking part in our immersion programme. You can take advantage and take your intensive Italian course in the mornings and visit this wonderful city and its museums in the afternoons. We offer you a 2-weeks´ Italian course of 20 classes / weeks for € 361 and a variety of specific courses to add such as “History of Italy”, “Italian cuisine” etc. (click here for more details). The school has always offered its students, together with regular courses, every opportunity to learn about Italian life and culture through a series of extra-curricular activities, both cultural and recreational. 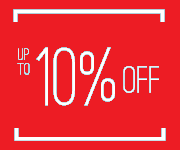 Take the opportunity to book your intensive Italian course at the best price and with the best schools in Italy.